Talent Tech Labs is a Talent Acquisition Technology incubator, accelerator and community located in Manhattan, NY. They provide a testing ground for innovative platforms and solutions through user communities, co-working spaces and technology vetting. 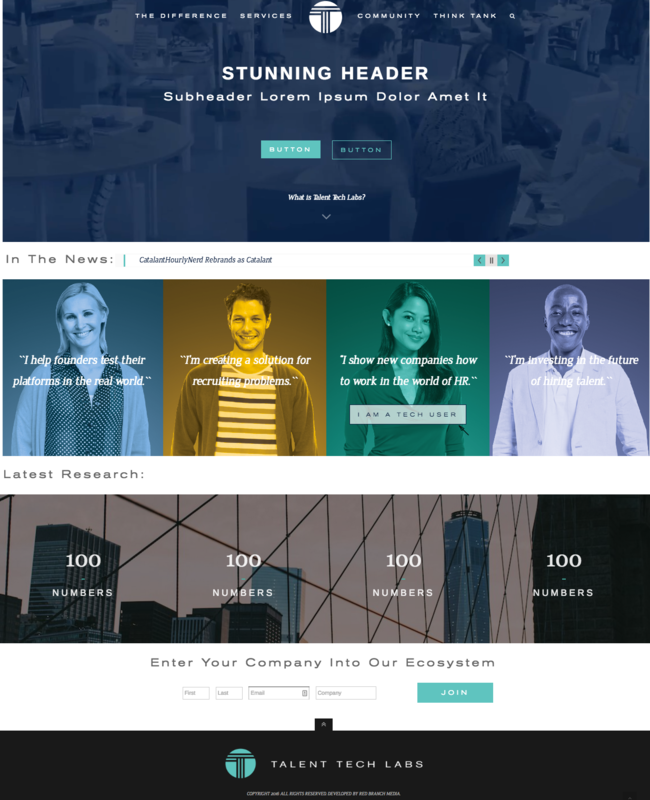 Talent Tech Labs was in dire need of a new site to reflect the innovation, research and technology the company offers its users. A focus was on displaying dynamic research, featuring current members in a digital community and explaining how Talent Tech Labs could be useful to a prospective client. The design had to be progressive and innovative, which is why we paired a sleek stretched font with a script, played around with a cool blue and green color palette and chose images of the Manhattan skyline along with industrial new-age office visuals. 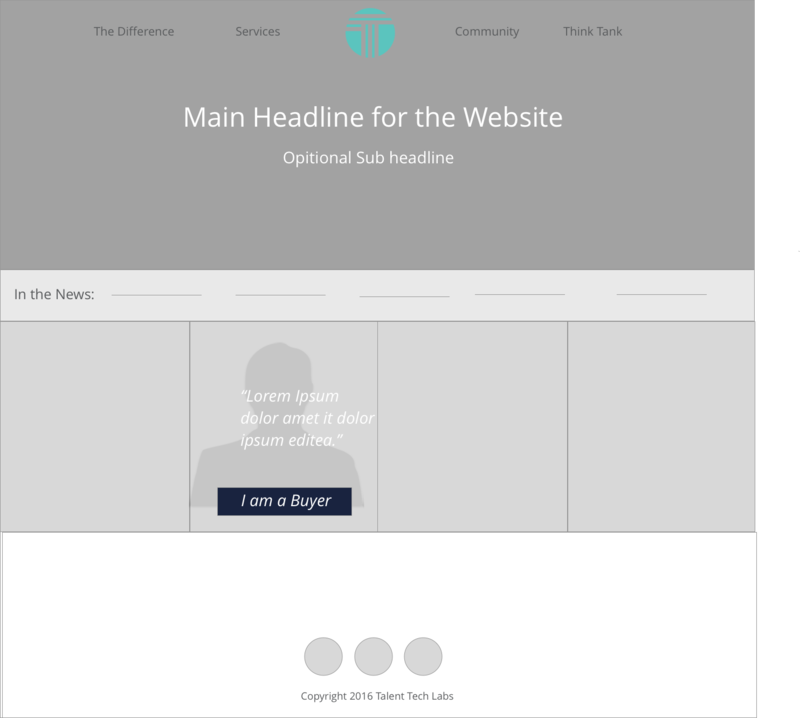 We reorganized where content would be placed for optimum user experience and rewrote the copy for ease of consumption. We even built a custom-built technology ecosystem to feature the company’s forward-thinking research.